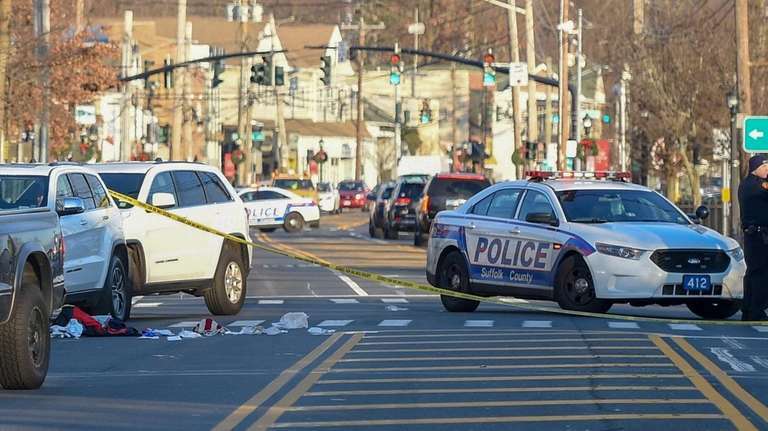 A 66-year-old Northport pedestrian is in serious condition after he was struck by a car in Smithtown on Sunday, according to Suffolk County police. Carmine Mandarano was on East Main Street in the westbound lane when Richard O'Connor, 23, driving a Dodge pickup, turned off Lawrence Avenue and onto East Main, striking Mandarano. Mandarano was transported to Stony Brook University Hospital. O'Connor was not injured, and his truck was impounded, according to police. Detectives are asking anyone with information regarding the incident to call 631-854-8452.